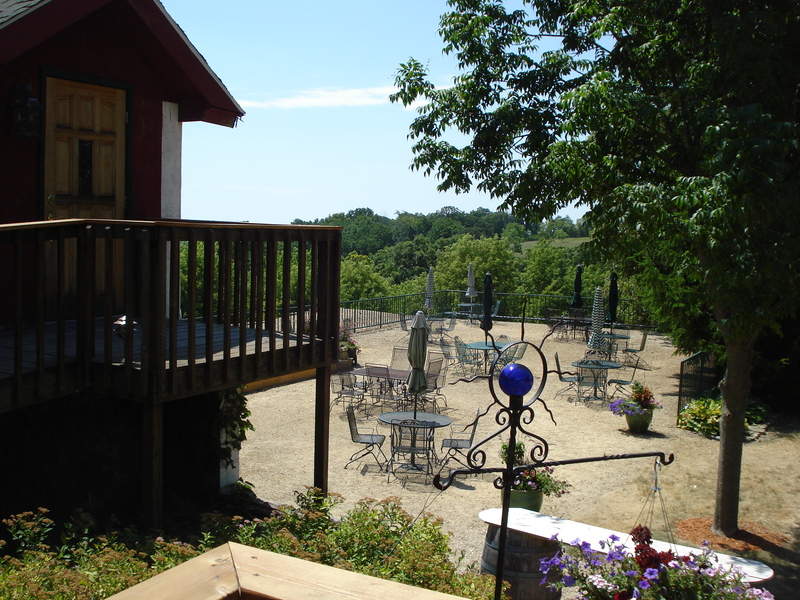 While on our Wisconsin vacation, we spent a lovely afternoon at the Bothom Vineyard and Winery with friends. It is located in a very picturesque hillside just west of Madison. 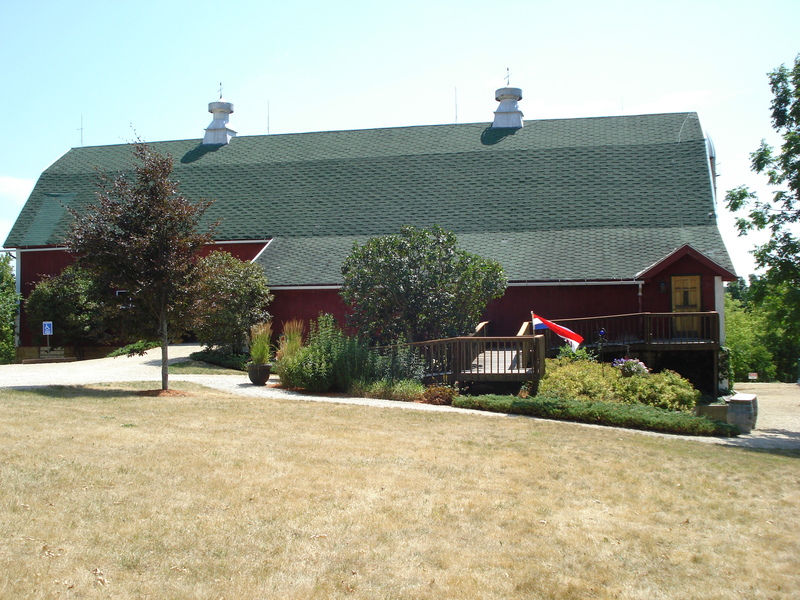 The vineyard is a restored dairy farm from the early 1900’s and has been growing grapes since 1989. The first crop was harvested in 1992 and was about 2500 gallons. In 2011, they production was nearly 30,000. They currently have 8,000 vines. Their varietals would be most compared to French grapes. 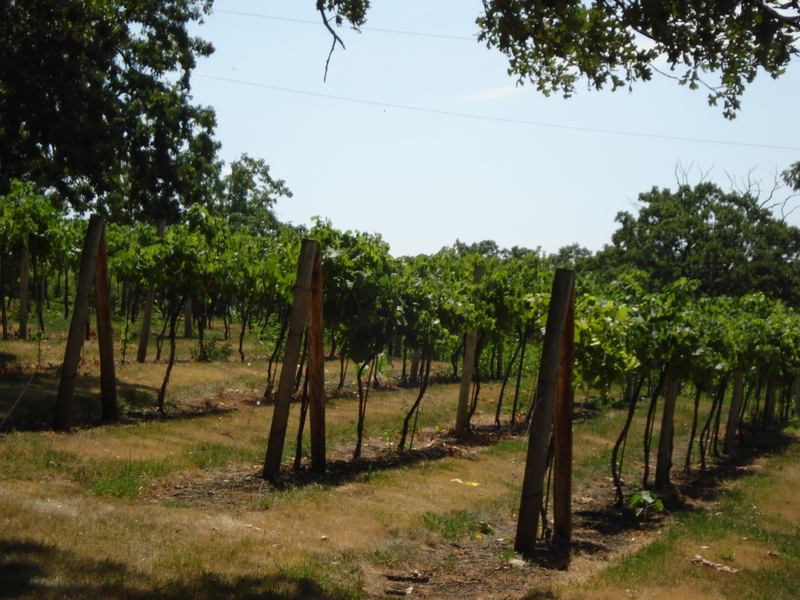 Because of the harshness that can come with Wisconsin weather, their successes tend to lie in their more fruit forward wines and have only a couple varietals that offer much dryness. 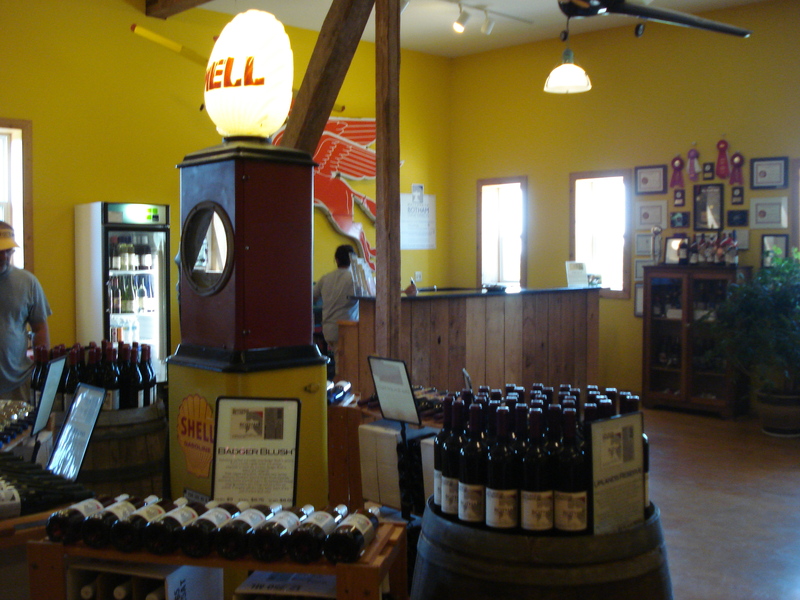 They offer free wine tastings in their tasting room and gallery which is located in the big red barn. The decor as you’ll see below has a vintage vehicular feel to it. 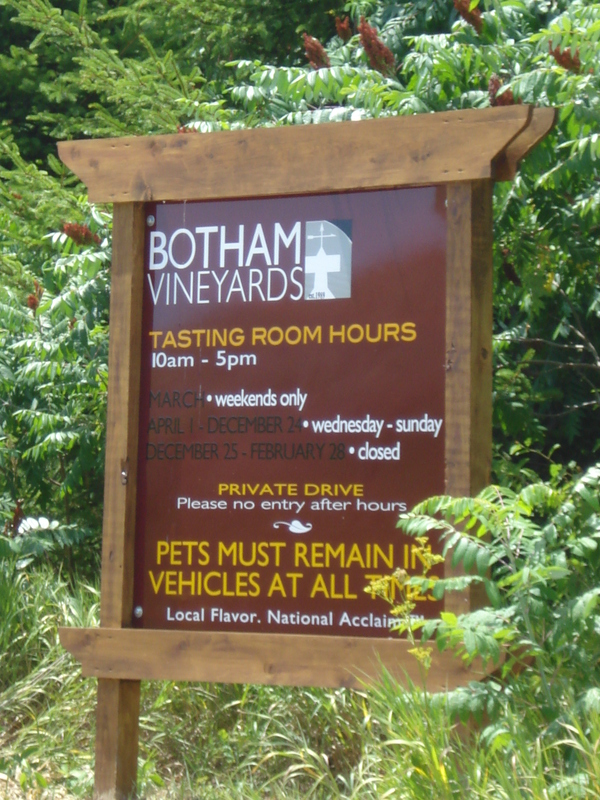 That’s because the owner, Peter Botham also loves vintage sports cars in addition to wine making. 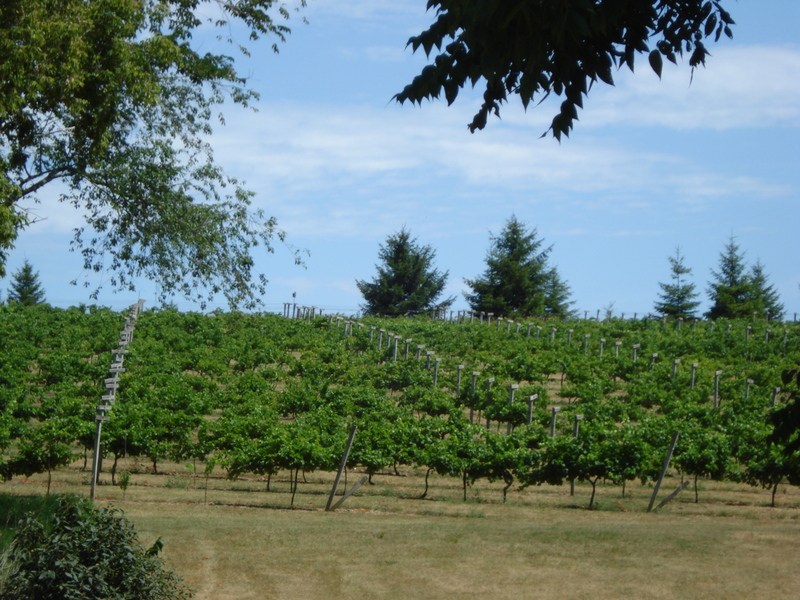 He actually hosts a big vintage celebration every August at the vineyard. There is also a beautiful courtyard where you can take a bottle of wine (that you purchase from the vineyard of course) and a cheese plate and just sit and enjoy the countryside. I love winerys….and the free tasting helps too. Looks beautiful. Please say you’ll be blogging about your own DIY wine and beer making – hubs and I have always wanted to do that so I’ll be v curious to hear how you get on. This entry was posted on July 14, 2012 by Jessica Romigh in Adventures, Green Door Adventures, Vineyards and tagged Bothom Vineyard and Winery, Bothom Wines, free wine tastings, growing grapes, Peter Bothom, restored dairy farm, travel, vineyards, vintage sports cars, wine, wine tastings, winery, Wisconsin.